The next time you come across a knotted jumble of rope or wire or yarn, ponder this: The natural tendency for things to tangle may help explain the three-dimensional nature of the universe and how it formed. An international team of physicists has developed an out-of-the-box theory that shortly after it popped into existence 13.8 billion years ago the universe was filled with knots formed from flexible strands of energy called flux tubes that link elementary particles together. The idea provides a neat explanation for why we inhabit a three-dimensional world and is described in a paper titled Knotty inflation and the dimensionality of space time accepted for publication in the European Physical Journal C and available on the arXiv preprint server. “Although the question of why our universe has exactly three (large) spatial dimensions is one of the most profound puzzles in cosmology … it is actually only occasionally addressed in the [scientific] literature,” the article begins. If a tube takes the form of a knot, for example, then it becomes stable and can outlive the particles that created it. If one of particles traces the path of an overhand knot, for instance, then its flux tube will form a trefoil knot. As a result, the knotted tube will continue to exist, even after the particles that it links annihilate each other. Stable flux tubes are also created when two or more flux tubes become interlinked. The simplest example is the Hopf link, which consists of two interlinked circles. The most distinctive characteristic of their theory is that it provides a natural explanation for a three-dimensional world. There are a number of higher dimensional theories, such as string theory, that visualize the universe as having nine or ten spatial dimensions. Generally, their proponents explain that these higher dimensions are hidden from view in one fashion or another. The research was supported by U.S. Department of Energy grant DE-SC0010504, the Alexander von Humboldt Foundation, The European Commission and the Portuguese Foundation for Science and Technology. The first drug to treat calcification of heart valves may be one originally designed for rheumatoid arthritis. 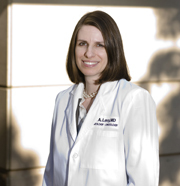 Today in Circulation, the journal of the American Heart Association, Vanderbilt University researchers published findings that the drug – a monoclonal antibody known as SYN0012 – shows promise in keeping heart valve leaflets supple. About a quarter of Americans suffer hardening of the valves by age 65 and about half by 85, and the only treatment is surgical replacement. The culprit in the condition, called aortic valve stenosis, is cadherin-11, a binding protein necessary for normal wound healing. Fibroblasts, the most common cell in connective tissue, produce it to ensure cuts and broken bones reconnect, and heart valves are composed of this type of cell. As hearts age and lose elasticity, the fibroblasts become overactive, producing mass amounts of cadherin-11 until the three thin leaflets that make up aortic valves become virtually immobile. The heart pumps harder in an attempt to push blood through the valve, causing the chambers of the heart to enlarge, leading to heart failure if the valve isn’t replaced. The rheumatoid arthritis drug, an anti-inflammatory, physically binds to cadherin-11 (CDH-11) on the surface of cells so that they can’t bind together. “Aortic valve stenosis, even though it involves only a little piece of tissue, has a catastrophic effect on the heart,” said W. David Merryman, associate professor of biomedical engineering. “The antibody we’re working with blocks fibroblasts from becoming the active type that leads to disease. It keeps them from becoming inflamed. About 750,000 Americans per year suffer heart attacks, and those plus all other varieties of heart disease are the No. 1 killers in America. Surgeons can replace damaged valves with ones made from either pig or cow tissue or with mechanical versions, said Vanderbilt cardiologist and Assistant Professor of Medicine Mike Baker. Physicians’ only option is to monitor calcifying valves once they’re detected and then operate when symptoms appear, he said. The drug is in human clinical trials for treatment of rheumatoid arthritis. After those are complete, Merryman hopes to gain permission to run clinical trials for uses in heart valve disease. Merryman’s research into CDH-11 dates back to 2013, when two of his Ph.D. students compared two studies of heart valve cellular responses that came to completely different conclusions. One found that a chemical compound caused valve fibroblasts to become active, similar to what is observed during valve disease, but the other study indicated that the same compound prevented the cells from calcifying, indicating that a key piece of the valve disease puzzle was missing. They realized that the teams behind those studies were inadvertently turning CDH-11 production on and off, affecting the outcome. The Ph.D. students obtained heart valves preserved from surgeries at Vanderbilt University Medical Center and found that patients suffering from calcification had, in some cases, 50 times as much CDH-11 present in their valves as patients without the condition. They completed another study that showed a NOTCH1 genetic mutation likely ensured those carrying it eventually would suffer from heart valve disease because it leads to CDH-11 overproduction. 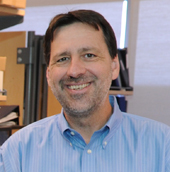 Merryman’s work is funded by a recent $5.3 million, seven-year R35 Emerging Investigator Award from the National Heart, Lung and Blood Institute. It also funds his research in developing heart valves that may one day be able to grow along with children. The American Association for Cancer Research (AACR) Genomics Evidence Neoplasia Information Exchange (GENIE) is a multi-phase, multi-year data-sharing project launched in 2015 with eight academic centers. Vanderbilt-Ingram Cancer Center (VICC) is one of the institutions that shared de-identified genomic records from patients treated at the center to determine if genome sequencing can identify clinically useful mutations. Mia Levy, M.D., Ph.D., Ingram Professor of Cancer Research and director of Cancer Health Informatics and Strategy, and Christine Micheel, Ph.D., research assistant professor of Medicine and managing editor of My Cancer Genome, led the VICC effort. Thomas Stricker, M.D., Ph.D., Michele LeNoue-Newton, Ph.D., and Lucy Wang also served as authors. One of the criticisms of molecular profiling is the time and financial cost involved in testing all patients since relatively small percentages of patients actually have a mutation that can be treated with a specific therapy. To determine the frequency of important mutations, the AACR Project GENIE group mapped all mutations to variant interpretations merged from other knowledge bases, including My Cancer Genome, OncoKB and Personalized Cancer Therapy. The new analysis found that more than 30 percent of the patient samples had mutations that are clinically actionable, meaning patients potentially could be treated with targeted therapies already approved by the U.S. Food and Drug Administration (FDA) or which are being tested in clinical trials. These frequencies varied widely across disease, from highly recurrent and druggable mutations in gastrointestinal stromal tumors (GIST) — 66 percent, almost all of which were mutations of KIT and PDGFRA associated with standard-of-care therapies — to tumor types with few actionable alterations, such as renal cell, prostate or pancreatic cancer. Breast cancer is the disease with the highest fraction of patients who might benefit from existing investigational targeted therapies, due to frequent mutations of AKT1, ERBB2 and PIK3CA, account­ing for 38 percent of patients. The investigators anticipate one of the benefits of GENIE will be an increased power for determining the clinical significance of mutations, particularly new indica­tions for approved drugs, as well as data-driven selection of tumors likely to contain actionable mutations for clinical trials. The study was supported by funds from the AACR, Genentech, Boehringer Ingelheim, Pfizer, Eli Lilly, the Howard Hughes Medical Institute, the National Institutes of Health, the National Cancer Institute, the Princess Margaret Cancer Foundation, the Ontario Ministry of Health, Susan G. Komen, the Dr. Miriam and Sheldon G. Adelson Medical Research Foundation, the T.J. Martell Foundation, the Commonwealth Foundation, the Cancer Prevention and Research Institute of Texas, the Dutch Ministry of Health, and the Dutch Cancer Society. The other seven institutions that participated in AACR Project GENIE phase 1 are: Dana-Farber Cancer Institute, Boston; Gustave Roussy Cancer Campus, Paris-Villejuif, France; The Netherlands Cancer Institute, Amsterdam, on behalf of the Center for Personalized Cancer Treatment, Utrecht, The Netherlands; Sidney Kimmel Comprehensive Cancer Center at Johns Hopkins, Baltimore; Memorial Sloan Kettering Cancer Center, New York; Princess Margaret Cancer Centre, Toronto; and University of Texas MD Anderson Cancer Center, Houston. 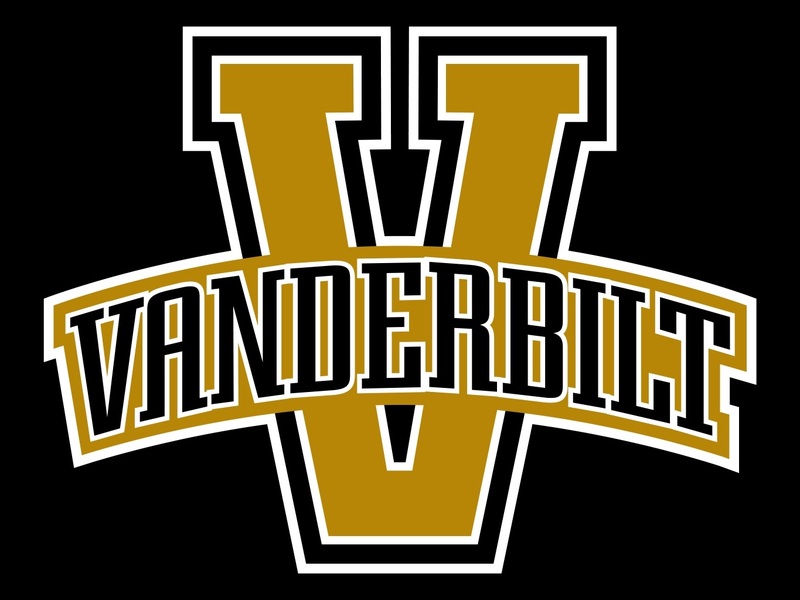 Vanderbilt soars to success with innovative rocket designs and payloads. Engineering students from the Vanderbilt Aerospace Design Laboratory earned the second place in the 2017 NASA-Orbital ATK Rocket Challenge. They received a cash prize of $2,500, an award created this year by the National Space Club in Huntsville, Alabama. For ten straight years, Vanderbilt has soared to success with innovative rocket designs and payloads and this year has been no exception. Having earned more than 20 awards in the past decade, including a record-setting four back-to-back national championships from 2013 to 2016, VADL added the 2017 Payload Design, Rocket Fair Display and Education Engagement awards to their awards collection. NASA announced the results of the competition May 12. 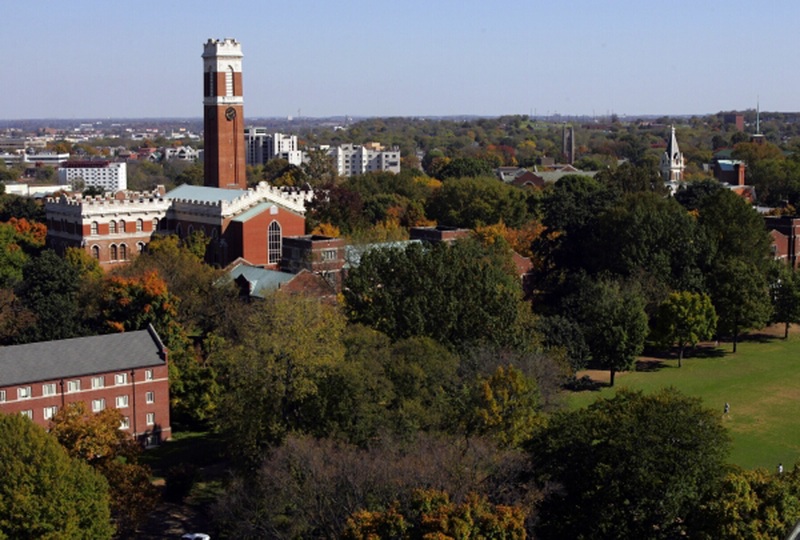 University of Louisville captured top honors and Cornell University came in third. The VADL team developed an ingenious set of cold gas supersonic thrusters to control the roll on their rocket – High Roller – during flight, netting them the prestigious Payload Design Award. The payload design was one of three predetermined payload options offered to university teams. The roll induction and counter roll payload required teams to design a system that is capable of controlling a rocket’s roll after motor burnout. After the system has induced two rotations, it requires a counter rolling moment to halt all rolling motion for the remainder of rocket’s ascent. Another testament to VADL’s success: All 2017 seniors in the program seeking jobs are heading to aerospace careers at Lockheed Martin, Space-X, Honeywell Aerospace and other companies. Three seniors start graduate studies at Stanford in the fall. The student launch competition is a NASA-conducted and aerospace industry-evaluated engineering design challenge built around a NASA mission. It is an intense eight-month contest involving payload and rocket designs, project reports, design reviews, outreach activities and website design, followed by a grand finale launch in April. “The Vanderbilt Aerospace Design Laboratory was set up to provide an opportunity for engineering students, both undergraduate and graduate, to take up the challenge of designing a novel payload and a launch vehicle each year, working through the details starting from fundamental science, through engineering analysis, and eventually leading to technological deliverables,” Anilkumar said. “It is a very intense immersion program and a challenge in extreme engineering. What drives the team is the fact that they need to build a demanding vehicle around an innovative payload and test fly it in the field, where everything has to work in a six-eight second experiment window,” he said. Building something from scratch is a liberating experience, said Grady Lynch, a 2017 mechanical engineering graduate who is headed to Lockheed Martin as a design engineer. Michael Gilliland, who will be joining Space-X as a design engineer, said detailed analysis and risk mitigation for both the rocket and the payload were at the top of the team’s agenda. “Generally, subsystems that function in normal gravity conditions are exposed to extreme loads at 15g takeoff and unexpected failures can happen. To anticipate these failures and take preemptive actions, and to set up backup protocols for minimum deliverable data, was the focus of our training,” Gilliland said. “Ground-based testing and validation is a key component, while the flight is the ultimate challenge. Building robust platforms for checking out rocket roll control through cold gas thrusters has been most rewarding,” said Artie Binstein. He is heading to Stanford University for graduate school where he plans to study space flight dynamics and controls. “Simulating rocket flight and incorporating the effects of atmospheric wind gusts with an overlay of rotation control has been a very practical validation of complex analytical tools. We have been able to predict rocket performance to a high precision,” said Paul Register, who also is heading to Stanford for graduate studies in aerospace engineering. “Robin Midgett, VADL laboratory manager and rocketry mentor, has been a great ally — combining his enthusiasm for rocketry with the encyclopedic knowledge of the middle Tennessee landscape to make field engineering a delightful and safe experience for the students,” Anilkumar said. Normally, the glue that holds cells together in the human body – what scientists call the extracellular matrix – is soft and pliable. But when a metastatic tumor forms it causes the matrix surrounding it to stiffen. According to a new study, this mechanical effect produces changes in the blood vessels that feed the tumor in a way that can reduce the effectiveness of chemotherapeutics and radiation treatments. The finding suggests that softening this protective layer could make existing cancer treatments more effective. The study was published Dec. 22 in the Proceedings of the National Academy of Sciences, by a team of researchers led by Vanderbilt Professor of Biomedical Engineering Cynthia Reinhart-King, which includes postdoctoral researcher François Bordeleau in the Reinhart-King group along with collaborators from Cornell University. The report is titled Matrix Stiffening Promotes a Tumor Vasculature Phenotype. A metastatic tumor’s blood vessels tend to be malformed and more permeable than blood vessels in healthy tissue. For this reason, fluid tends to leak from the vessels, building up pressure inside the tumor that prevents drugs from getting to their target. Unlike in previous work in this area, Reinhart-King and Bordeleau see the vascular breakdown as a product of the stiffening of the tumor and its matrix, which triggers proteins in cells to alter vascular growth and integrity. Previous work has targeted chemical factors, in particular vascular endothelial growth factor. “The idea that you would want to restore barrier integrity and help blood vessels is not a new one,” Reinhart-King said. “The idea that we discovered is that it’s controlled through matrix stiffness.” This, in turn, suggests that promoting healthy vasculature through a softening of the extracellular matrix would use the tumor itself as a conduit for delivering cancer-killing drugs. This work was supported by National Institutes of Health grants R01-HL127499 and R01-CA163255 and National Science Foundation awards 1055502 and 435755. Molecularly heterogeneous cancers such as triple-negative breast cancer are challenging to treat, because they often lack the “driver” mutations that are targeted by the newest cancer therapies. These cancers exhibit genomic instability, resulting in chromosomal rearrangements and gene fusions, and identifying these alterations is technically difficult. Timothy Shaver and Brian Lehmann, Ph.D., working with Jennifer Pietenpol, Ph.D., developed a new algorithm, Segmental Transcript Analysis (STA), to predict gene rearrangements. Using STA, they identified multiple known and novel gene rearrangements in triple-negative breast cancer and then expanded their analysis to other malignancies using a cohort from The Cancer Genome Atlas. Two of the gene rearrangements that the team characterized in triple-negative breast cancer involve molecular targets for therapies already in clinical investigation or development. The findings, reported Aug. 15 in Cancer Research, provide evidence that STA is an effective prediction tool for gene rearrangements and highlight the need to advance gene fusion detection for molecularly heterogeneous cancers. This research was supported by grants from the National Institutes of Health (CA183531, GM008554, CA098131, CA105436, CA068485) and from the Susan G. Komen Foundation. 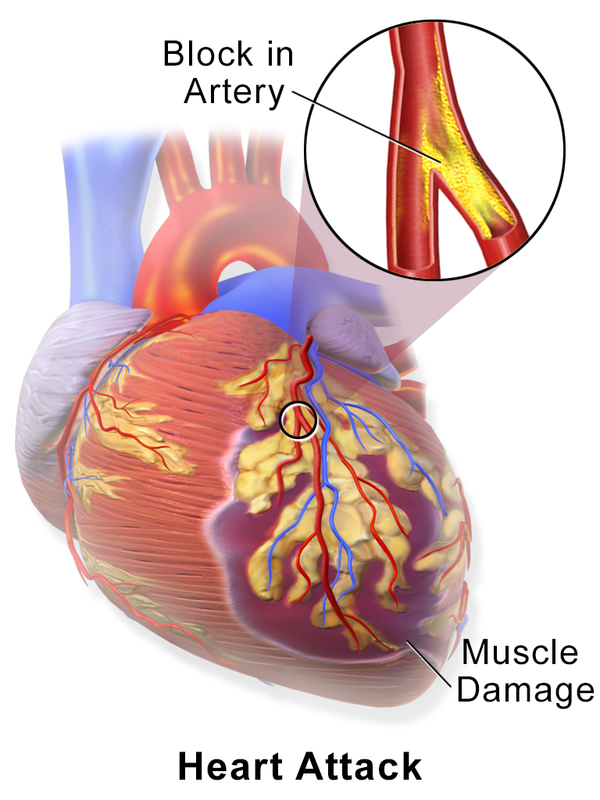 Myocardial infarction (MI) or heart attack is the major cause of death in men and women in the United States. Because it interrupts the heart’s oxygen supply, MI causes irreversible tissue damage that can lead to heart failure. A protein called Gremlin 2 (Grem2), which is required for early cardiac development, also is strongly induced in the heart after experimental MI. However, little is known about the function of Grem2 after cardiac injury. Now, in a paper published recently in the journal Circulation Research, Antonis Hatzopoulos, Ph.D., and colleagues show that Grem2 provides a molecular barrier that controls the magnitude and extent of inflammation after MI. They show that Grem2 suppresses the signaling of bone morphogenetic protein (BMP). BMP signaling plays an important role in heart development but its activation following ischemic injury regulates the inflammatory response. Their findings suggest a new strategy to limit the adverse effects of excessive inflammation following MI. This research was supported by grants from the National Institutes of Health (HL083958, HL100398, GM114640) and by institutional support from Vanderbilt University Medical Center. Neuroblastoma is a neural crest cell-derived extracranial solid cancer that affects infants and young children. The most vigorous of these cancers spreads through self-renewing cancer stem cells. Knowing the nature of these cells is essential to understanding the progression of neuroblastoma and devising the right treatment strategy. Cell lines formed spheres more frequently when the MYCN oncogene was overactive. Retinoic acid, used clinically to induce differentiation of residual disease after chemotherapy and radiation, almost blocked sphere formation entirely, while fibroblast growth factor (FGF) promoted sphere formation. Limiting dilution analysis is an accurate method of quantifying sphere-forming frequency, and should be adopted as an effective way to assess the stemness or proliferative capacity of neuroblastoma stem cells, they conclude. This research was supported by a grant from the National Institutes of Health (DK061470) and by a Rally Foundation for Cancer Research Pediatric Oncology Fellowship Award.